This engagement started a wonderful chain of events that led to several SCD research projects at SCH. Those efforts were fueled by the intellectual curiosity of these leading GI professionals; doctors, that in order to provide the best care for their patients, were willing to study this difficult-to-research field of therapeutic diets. This new book is a part of that process. It will aid efforts in legitimizing diet as an effective treatment for managing IBD. I had the privilege to contribute content to the book. Additionally, several SCD parents from the support group I moderate online shared their favorite recipes in the book. Chef Travis Bettinson, who has specialized in cooking for restrictive diets, also contributed some of his wonderful SCD recipes. 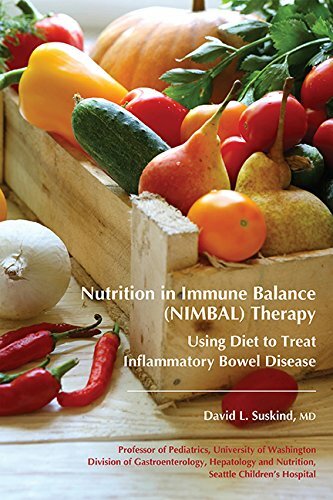 However, more importantly than the recipes, this book is designed as an educational resource to help patients and healthcare practitioners alike learn about dietary management of IBD. You can help raise awareness by writing a review on Amazon and by sharing this book with your medical providers. Proceeds will be used to support further medical research in this field. Thanks, Tali! This is great news! My son has colitis and we had an appointment with his doctor last week. He mentioned he had a book about the SCH study on his desk, and I didn't know what book he meant, but this may be it! He is supportive of our use of diet (SCD) and we are seeing results. This diagnosis was hard to take but I'm so heartened by great research coming out right now!